Although the field of radiologic technology is expected to continue growing for the next several years, the number of professionals is decreasing. This decline is occurring faster in Colorado than elsewhere in the nation, causing an overall shortage of radiologic technologists in the state. The result is excellent job prospects and competitive wages for radiologic science professionals who choose to work in Colorado. The average salary for a radiologic technologist in Colorado is currently $63,750 per year. This is somewhat higher than the average nationwide annual salary for radiologic science professionals, which is $60,320. 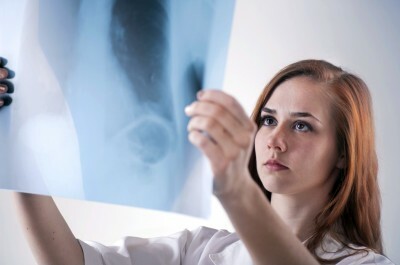 The highest-paying positions in radiologic technology were supervising diagnostic radiography positions, which generally require individuals to have a BAS in radiologic technology in addition to several years of professional experience. The lowest paid positions were limited radiologic technologist jobs, which are often the entry level positions for graduates of AAS programs. More information on Rad Tech salaries in Colorado. There is no state licensing program for radiologic technologists in Colorado, so these professionals must pass the American Registry of Radiologic Technologists (ARRT) exam in order to receive a license to practice. The requirements are the same for mammography technicians. However, limited license X-ray technicians must pass a state exam, or have passed a state exam in any of the other 49 US states. There are no mandatory continuing education requirements for Colorado radiologic science professionals to state licensed. It is possible to earn everything from a radiology limited license certificate to a doctor of radiology medicine degree in Colorado. Colorado State University: Colorado State University is the 2nd largest university in Colorado, and spends more money on medical research than nearly any other school in the country without a medical school. Students enrolled in the College of Veterinary Medicine & Biomedical Sciences may earn a Master of Science degree or Doctor of Philosophy degree in Radiological Health Sciences while performing cancer-related research. This school also offers residencies in Radiation Cancer Biology and Oncology and Diagnostic Imaging for veterinarians. Pima Medical Institute: The Pima Medical Institute has locations throughout the western United States, and they offer a well-established program through which students may earn an Associate of Science degree in Radiography. Students can earn their Associate degree at Pima’s Denver location, or enroll in their online Bachelor of Science in Radiologic Sciences degree program, both of which will prepare students for a career in radiography. Colorado Mesa University: Colorado Mesa University, located in the city of Grand Junction, is a great option for students who are looking for a residential college experience. This school offers certified and registered radiologic technologists with an associate degree the opportunity for post-primary certification in magnetic resonance imaging (MRI) or computed tomography. Two bachelor degree programs exist within the Department of Health Sciences — both a Bachelor of Science in Radiologic Sciences and a Bachelor of Applied Science (BAS) in Radiologic Technology. The BAS qualifies radiologic technologists to advance in specialty areas in the field, and work with more advanced imaging tools, or in management positions. There are also a number of community colleges around Colorado that all offer AAS degrees in radiologic technology. These include the Community College of Denver, Pueblo Community College, and Aims Community College in Greeley. Out of state, Southern Colorado residents may consider other options on Phoenix, AZ, Albuquerque, NM, Tulsa or Oklahoma City, OK, or Dallas, TX, while future students in Northern Colorado may want to take a look at alternatives in Salt Lake City, UT, or Cheyenne, WY (admittedly rather limited). Eastward, you might consider colleges in Wichita or Kansas City, KS, or Lincoln, NE. Colorado has many large hospitals and medical centers, three of which have been nationally ranked by the US News and World Report. These large health facilities are the largest single employers of radiologic science professionals. The Colorado Society of Radiologic Technologists (CSRT) is the state affiliate of the national American Society of Radiologic Technologists (ASRT). This organization has resources for students as well as working professionals, including job postings and information about licensing. There are local chapters of the state society to help professionals stay connected.